TOKYO, Japan, May 6, 2011 (ENS) – For fear of earthquakes, Prime Minister Naoto Kan has asked for a shut down of all active reactors at a nuclear power plant on Japan’s Pacific coast. The Prime Minister Friday asked Chubu Electric Power Co., operator of the Hamaoka nuclear plant to halt two operating reactors and not to restart a third, which is offline for a regular inspection. The plant’s other two reactors are shut down for decommissioning. “If there were a major accident at the Hamaoka nuclear plant, it would have an enormous impact on the entire Japanese society,” Kan told reporters in a televised news conference. 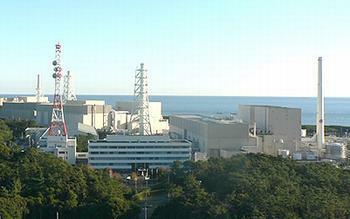 Hamaoka’s five reactor complex is in Omaezaki City, in the Tokai region of Shizuoka prefecture. Japan’s science ministry has projected an 87 percent chance of a magnitude 8.0 quake striking the Tokai region within the next 30 years. Chubu Electric President Akihisa Mizuno said in a statement that the firm will “promptly consider” the government’s request. The Kyodo news agency, citing a source at Chubu, reports that the company will comply. Prime Minister Kan said there is a need to better secure the Hamaoka plant in the wake of the ongoing nuclear crisis at Tokyo Electric’s Fukushima Daiichi power plant following the March 11 magnitude 9.0 earthquake and tsunami. In the world’s second-worst nuclear accident, the Fukushima Daiichi plant lost power to the cooling systems for its nuclear fuel, causing partial fuel meltdowns, hydrogen gas explosions and radiation leaks to air, soil and sea. A 20 km (12 mile) mandatory evacuation zone is in place around the Fukushima Daiichi plant due to high radiation levels. Some 80,000 residents have been evacuated and are sheltering in gyms and schools. The Hamaoka plant is the only one where operations have been ordered halted following a safety review of all Japan’s nuclear plants after the March 11 disaster. “It’s a decision made after thinking about people’s safety,” Kan said. The Fukushima Daiichi nuclear plant is in Fukushima prefecture also on the Pacific coast of Japan’s main island of Honshu, about 250 miles to the north of the Hamaoka nuclear plant in Shizuoka prefecture. Throughout history, every 100 to 150 years, an earthquake of disastrous proportions has hit Shizuoka prefecture. 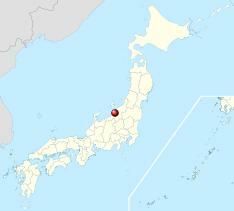 On March 15, the prefecture was hit with a magnitude 6.2 earthquake. The Hamaoka plant’s safety risks have been repeatedly pointed out by lawmakers during debates in the Diet. On March 23, Mizuno said the company was working to secure the Hamaoka plant from tsunami waves. Mizuno said the company has also secured generator vehicles and portable electric generators; secured backup storage batteries; placed emergency power supplies; secured spares for emergency core cooling systems and related equipment; set up a storehouse for emergency equipment and materials; implemented and reinforced emergency preparedness training. On May 2, trouble was reported at a third nuclear power plant. The Fukui prefectural government said radioactive substances may be leaking from fuel rods at the Tsuruga nuclear plant on the Sea of Japan coast. Japan Atomic Power Co., the utility firm that operates the Tsuruga nuclear plant, acknowledged “technical difficulties” at the Unit 2 reactor and confirmed a possible leak of radioactive iodine from the reactor’s nuclear fuel rods into the coolant system. To prevent disaster at yet another nuclear power plant, the Japanese government Monday ordered Tokyo Electric to undertake emergency measures at the Kashiwazaki Kariwa nuclear plant on Japan’s east coast bordering the Sea of Japan, an earthquake-prone area. The required measures are intended to prevent damages to the reactor core and spent fuel, suppress discharges of radioactive materials and restore the cooling function of the reactor facility in the event of a natural disaster. In July 2007, a magnitude 6.6 offshore earthquake happened just 19 kilometers (11.8 miles) away from the Kashiwazaki Kariwa plant, the world’s largest. This shook the plant beyond its design basis and initiated an extended shutdown for inspection, which indicated that greater earthquake-proofing was needed before operation could be resumed. 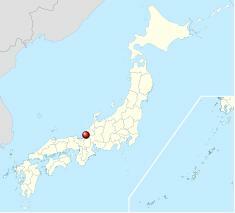 The Kashiwazaki Kariwa plant was shut down for 21 months following the earthquake and was only restarted on May 9, 2009. Before March 11, Japan had 54 nuclear power plants connected to the grid. Today, with the shut down of Fukushima Daiichi and Hamaoka, the country has 52, still the third greatest number in the world after the United States and France.